Have students who love to draw, draft, sketch, and doodle? Take them behind the scenes to gain some inspiration from Kids Discover’s beloved illustrator Michael Kline. Kline works out of his studio in Wichita, KS, with two feline office managers whose “help” is often in question. What’s the best way to explain the branches of government to a 3rd grader? Or liven up a lesson on the Renaissance for a middle school student? 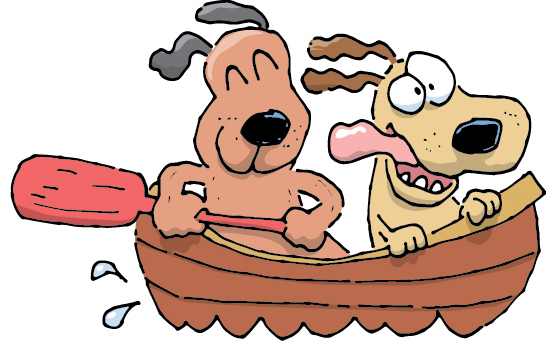 Here at Kids Discover, we often turn to longtime illustrator Michael Kline to help make complicated subjects clear and memorable. 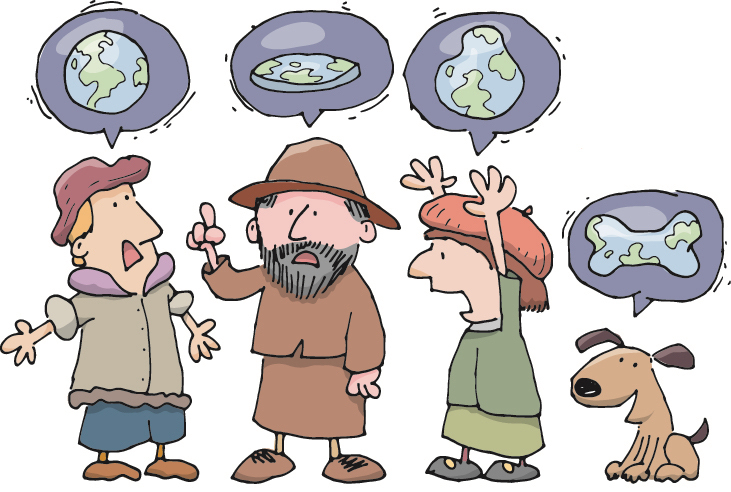 In collaboration with our writers and designers, Kline’s cartoons, illustrations, and infographics break down tough science and social studies concepts for kids. While Kline got his start as a 4-year-old doodler, he began his career with Williamson Publishing in the early 90s, illustrating educational craft, science, and history books. He became a regular Kids Discover contributor in 1991, with the original publication of The 5 Senses. 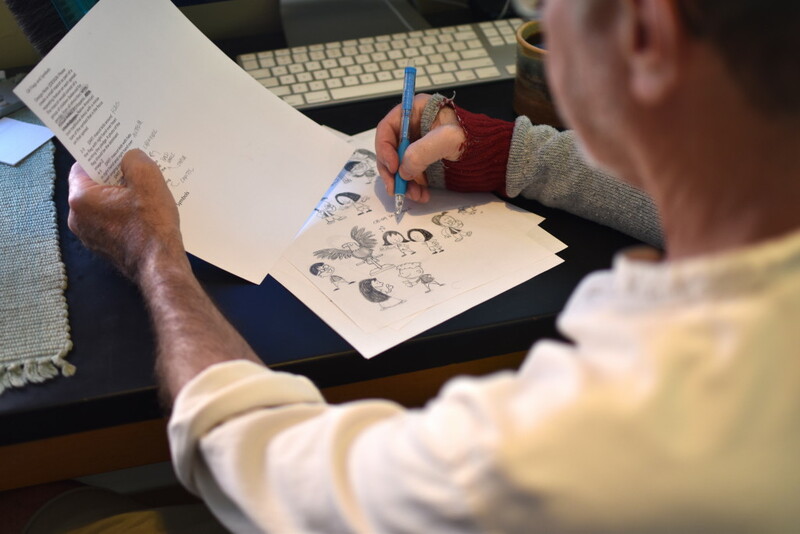 Most recently, he was instrumental in illustrating 25 New Titles, including 10 new K-3 Titles. He was also a key player in our recent partnership with Houghton Mifflin Harcourt to produce a new K-6 Social Studies Program. Kline is enthusiastic about the shift away from text-heavy textbooks to teach kids science and social studies concepts. To him, highly visual learning materials are here to stay. “I’m wont to use the phrase ‘paradigm shift’ in describing this new approach to education, thinking it’s long overdue. And I’m extremely happy to be a part of it,” he said. A Michael Kline spread from a new K-3 Print Title, Leaders and Government, before and after editorial design. Kids Discover: Hey Mikey! Let’s start from the beginning: When did you first get into illustration? Michael Kline: Somewhere around the age of 4, I recall “illustrating” books of fables and fairy tales (Collier and Son’s Junior Classics) that my mom had purchased for me and my siblings. Thinking those tomes could benefit from additional artwork, I jumped in with markers, crayons, and the sort — an act for which I was summarily punished. Ironically, my mother now pulls out some of those books to show visitors how cute it was. (What the heck, Mom?) I still have one of those on a shelf in my office, and I never put down those markers and crayons. KD: Where did you grow up? MK: I grew up in and around Wichita, and attended mostly Catholic Parochial schools. I spent many of my youthful years as a meat cutter in my family’s retail meat market, which naturally lead me to pursue a career in illustration. Oh, and I still have all my fingers. KD: What did you study in school or college? MK: I never took art lessons in grade school or high school, mostly because my teachers didn’t seem to share my passion for humorous art. I graduated from Wichita State University with a BFA in Graphic Design, and though I never brought my design education to play in my career, the degree paid off wonderfully. Ninety percent of the people I work with are designers and art directors, so I can easily walk the walk and talk the talk. KD: Who inspires you as a comic, illustrator, or artist? KD: What is your favorite Kids Discover issue you’ve worked on? MK: For me, the most popular—read, most fun—issues of Kids Discover are those that delve into earth sciences. That kind of knowledge and understanding has always fascinated me, and it always seems to be changing. Infographics on those types of subjects appeal to me as well. If at all possible, I take the information at hand, craft something that is visually digestible, somewhat humorous, and potentially a mnemonic device or something that kids will remember. I liken the process to going to a school where they pay you to learn and then draw all over your test papers. Nirvana! Favorite specific issues? Ecology and Simple Machines. Both had me chomping at the bit for more. My favorite things to work on are infographics, but I derive great pleasure from researching and crafting cover blurbs. Best part of my day! KD: If you’re stuck on an idea, where do you turn for inspiration? MK: I know most artists and writers will hate to hear this, but I rarely get stuck. But, I do have a tried and true approach to those elusive thoughts: I look at the problem from every angle, kind of like tasting it, touching it, listening to it… gathering everything I can about it. Then I put it away. Forget about it! I have complete confidence that once I’ve stopped consciously pondering a solution, it will come to me. Sure, sometimes it’s at 4am, but it never fails to arrive. My subconscious is much better at those types of things. I also feel for the writers of Kids Discover sometimes. It’s not that I ignore their art notes and suggestions. It’s just that by the time I’ve pondered the subject enough, I’ve come up with something I think will be simpler, more fun, and much more engaging. KD: When you were a kid, what did you think you were going to be when you grew up? MK: Older. Not sure that ever happened though. KD: And finally… what’s with the drawing sock? MK: Two reasons: 1) It keeps the oils from my hand and wrist from coming in contact with the sketch (not a good thing). 2) It acts as a buffer between the edge of my desk and my wrist. After a few thousand drawings, it can get irritating. Oh yeah, and 3) FASHION! Thanks, Mikey! You can follow the artist on Instagram @tykeymikey, and visit his site DogFoose.com. Also read about the careers of illustrators Ed Gabel and Rob Wood in our ongoing Behind The Scenes of Kids Discover series.